Our flagship 2018 Braver Conference will get under the skin of what being braver really means both in work and in life. We’ll hear about the brave passions and even braver ambitions of our inspiring speakers which include challengers (Sophi Tranchell), performers (Marcus John Henry Brown), activists (Dr Caroline Casey), visionaries (Jaz Ampaw-Farr), transformers (Martin Glenn) and more. Join us for a fresh perspective, discover new ideas and connect with 400 other people just like you. Yalda Hakim is the presenter of Impact on BBC World News. She joined the company in December 2012 and made her on-screen debut in March 2013, presenting a special three part series of Our World entitled, Iraq: Ten Years On. Tor joined the Met in 2008. In 2012 she created a forum for junior-ranking officers to improve the force from within and founded Police Now. Tor will explore how to conquer organisational obstacles and how to make a brave team braver. Hear the dramatic and heart-rending story of how Eric’s sporting talent saved his life and shaped Football for Hope, Peace & Unity that uses the sport to heal the wounds of war. When do you feel braver - when you have something or nothing to lose? Caroline’s story proves you should never feel defined by your successes or your failures. How do you create a completely new business model to compete with Cadbury and Nestlé? Hear how Sophi built her social enterprise that delivers on both taste and profit. Are we prepared for the world we are currently shaping? Marcus will show us a visualisation of a different, challenging, potentially braver society. Is it dystopia or utopia? Cecilia's passion is bringing out the best in people and brands through empowering creativity and innovation among consumers and employees alike. So, how do you create the builders of tomorrow? How do you take the global legend that is LEGO – one built on creativity and inspiring minds – and make it fully sustainable by 2030? Is it easier for a risk-based business to be braver than others? Steve will explain how he creates a brave culture in Hiscox and share what happens when courage fails you and what you can learn. Exactly what type of brave are marketers? Why does being brave matter? Thomas will present a preview of our new study into the bravery of our global network. Literacy was Jaz's ticket out of childhood neglect, poverty and abuse. Since then she's inspired teachers to go the extra mile and adopt a resilient mindset in their own lives. How brave do you have to be to carry the weight of the entire country’s expectations? Martin will explore the triumphs and disappointments of not only his 2018 World Cup journey, but career to date. How brave do you have to be to win? As well as our main speakers, our chief executive Gemma Greaves will be hosting a panel session, asking a group of market leaders, to let us in on their secrets behind being brave. Speakers will be: Syl Saller, Chief Marketing and Innovation Officer at Diageo, Michelle McEttrick, Group Brand Director at Tesco, and Pete Markey, Chief Marketing Officer at TSB Bank. Following a day of learning we continue into the evening with our Annual Dinner, celebrating achievements of our industry and saying thank you, over good food and wine, to colleagues, clients and partners. The night will be hosted by Rachel Parris, an award-winning musical comedian, actor, improviser and presenter. 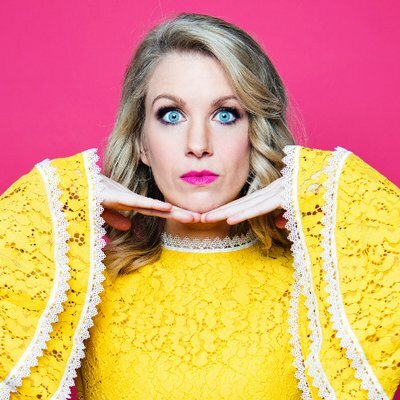 Rachel Parris is an award-winning musical comedian, actor, improviser and presenter - she is one of the breakout stars of the hit BBC2 series THE MASH REPORT. This year's entertainment is Ireland’s finest hip hop musical comedian Abandoman, who uses his trademark blend of audience interaction and razor-sharp improvisation to entertain a crowd. Aldermore, Aviva, B&Q, Clear Channel, CSM Sport & Entertainment, Direct Line Group, Eurostar, Gain Theory, GlaxoSmithKline, Havas Helia, Hiscox, InterContinental Hotels Group, ITV, John Lewis Partnership, Lidl, McDonald's Restaurants, MediaCom, Müller Dairy, O2 (Telefónica UK), SapientRazorfish, Shell, Smart Energy, Starbucks. As part of the Conference this year, we're being brave and pushing boundaries by hosting our flagship conference in New York, Dubai and Hong Kong on the same day as London. Four conferences, four countries, one day - inspiring our members to be braver around the globe. In Dubai we’ll hear from Egyptian Omar Nour, the fastest Arabic-speaking triathlete in the world, and health and fitness guru, Essa Al Ansari, hosted by BBC journalist Lucy Hockings. In New York our speakers are: NHL’s Kimberly B. Davis and L.L. Bean’s CMO, Christopher McDonough, and Fereshteh Forough, founder of Code to Inspire, the first coding school for girls in Afghanistan. Hosted by our New York chair, Siegel+Gale’s Margaret Molloy. In Hong Kong our first speaker is humanitarian Dr Joyce Samoutou-Wong, known for her brilliant work across the globe, and her natural ability to make audiences both laugh and cry. More speakers to be announced soon.